Author Showcase: Featured genre this month Mystery/Thriller/Suspense. My guest today is Author Mae Clair. – Welcome to the World of Suzanne Burke. I’ve written in multiple genres over the years, but most of them contained elements of suspense and mystery. As a kid I was in love with mysteries so it was only natural that theme would worm its way into my writing. With each successive book I’ve written, that element has taken on a larger role, until it’s become my primary focus. My newest book, A Desolate Hour, required a great deal of research as it incorporates actual events and aspects of folklore. The book is set in the town of Point Pleasant, West Virginia in the U.S. I made two separate trips to the area to do site research. I also devoted numerous hours to reading accounts of the town’s history, and investigating the multiple urban legends associated with Point Pleasant. A Desolate Hour has more than one protagonist. 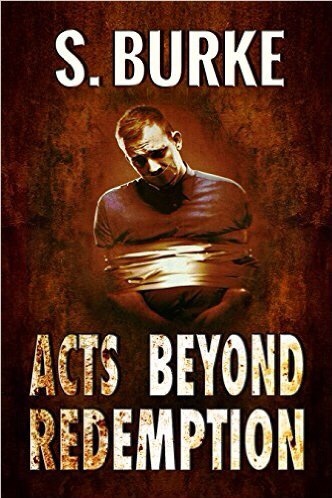 Caden Flynn is a practical man forced to adapt to extraordinary circumstances. He’s steady and sure with a strong work ethic, and a willingness to step out of his comfort zone. A sergeant with the local sheriff’s office, he’s suffered multiple tragedies in his past, but that hasn’t stopped him from starting over or opening his mind to the inexplicable and bizarre events that beset Point Pleasant. Quentin Marsh, my other protagonist, has grown up in an affluent family. A musical prodigy, his life has taken an unexpected turn. By the time he arrives in Point Pleasant, he’s floundering. He goes to the town at the request of his twin sister, but soon becomes embroiled in a murder investigation, an ancient curse, and a vendetta that spans centuries. Before I was published, I wrote everything from high fantasy and sci-fi, to inspirational and western. A Desolate Hour is the third and final book of my Point Pleasant series. Each novel is complete, with a finite ending, but there are also events and characters that continue throughout the series. Books 1 and 2 are A Thousand Yesteryears and A Cold Tomorrow. Yes. I’m very excited to have recently signed a three book contract with my publisher. The Blue Lady of Hode’s Hill is the first book in a new mystery series I’m developing. The plot features two threads—one in the present, the other in the late 1800s. Both tie together and are rooted in the Spiritualism movement of the 19th century. At that time, mediums readily engaged in fraud (sometimes quite skillfully), a few of them even amateur magicians. The research has been fascinating! Since grade school. I know that many writers begin later in life, but for me it’s been a life-long passion. If I go a week without expelling my creative energy in some type of story format, I suffer from withdrawal. I think only another writer truly understands how essential writing is for our well-being! Featured Book: This Book is due for release on JULY 18th 2017. YOUR FAVORITE AMAZON REVIEW: Book 1. Thank you to my featured authors this month, Gordon Bickerstaff, John W. Howell and Mae Clair. From August 12th I will be featuring NON-Fiction- Memoirs. I appreciate you stopping by and offering your comments and support to all these talented folks. Wonderful presentation of Mae’s work you two. Thanks, Craig! It was such a pleasure to feature, Mae Clair and her work. John, how lovely. Thank you so much for sharing! You’re welcome, Mae – my pleasure! What a lovely introduction to Mae and her work! Thank you, Sooze! I’ve read two of Mae’s masterpieces (each earned 5-stars), and I’m eager to read more. Alas, time can be so elusive – but I will make it happen!! Thank you for visiting with Soooze and I today! 😊It’s always such a pleasure to feature writers I admire. Thanks for stopping by today, Gwen. 😊 My absolute pleasure, Mae Clair. The new release sound great! It’s such an exciting time. A wonderful feature of Mae’s work, Soooz! I’m a huge fan and eagerly awaiting the release of Desolate Hour. I love Mae’s work and am pleased to see her featured here Soooz. Good job. This is such an exciting series – can’t wait for A Desolate Hour! I loved books one and two in this series. Can’t wait to read book 3! Thanks so much for stopping by, and offering your support, Judi. It is much appreciated. Judi, thank you so much! I’m excited to have the final in the series release. I’ve really enjoyed writing these novels. I’m sad to see the series send, but also excited about moving onto something new. Thanks for all of your support! I loved book one of this series and plan to finish the last two! Great to learn more about you, Mae! I am enjoying this, Suzanne, thanks! So happy to hear that, D.L.! Your support is much appreciated. And I agree with you about Suzanne’s author spotlights. I love how she chooses a different genre to showcase each month! Great interview Mae and Soooz. Mae, good to hear that you have written in several genres.